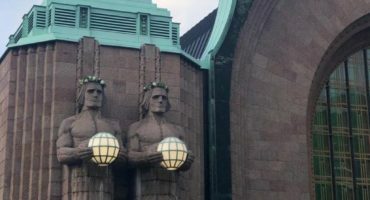 Creator of Very Finnish Problems Joel Willans returns with a conversation on how and why Finland is big in Japan with project manager, exports specialist Sami Häikiö. We learn about the strides being made to bring Moomin to the world and the peculiarities of booking metal gigs in Tokyo. Co-host Thomas Nybergh deals with troublesome Nipponese electronics and contributes the bleakest recommendation segment yet. Are Finland and Japan obsessed with each other? Moomins: drawn in japan and created by swedish woman who lived in Finland so moomins are Finnish? I liked Moomins as a child. Only when I re-watched as an adult I realized how spooky the whole moomin valley is. The spooky moomin love to dance to spooky Finnish metal tunes! Don’t forget the Rare Exports!